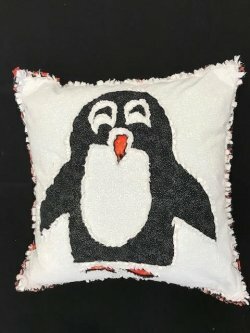 Students will sew a "rag" penguin or flower pillow top by sewing around a template, clipping the fabric to create the rag edges and stitching the 1/2" seams for the pillow back. 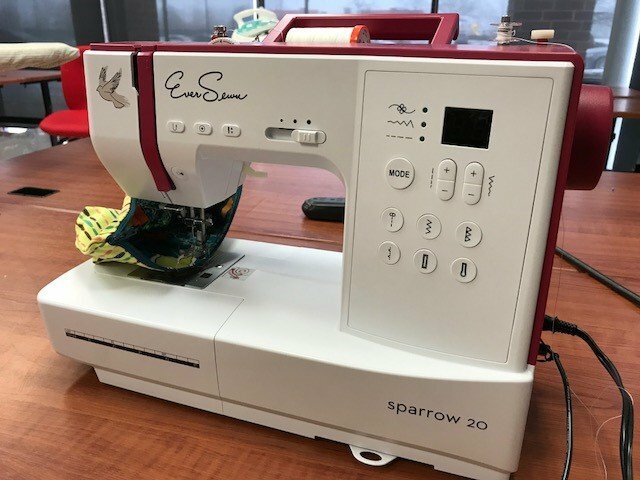 Students will make a placemat for themselves or possibly for a pet. 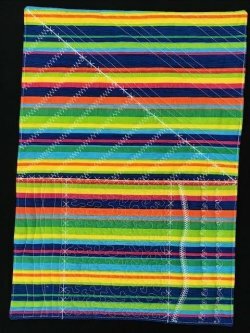 They will divide the mat into five different areas and we will explore; straight stitching along straight lines, free motion stripling, decorative stitches, and spirals. The last section will be student choice. 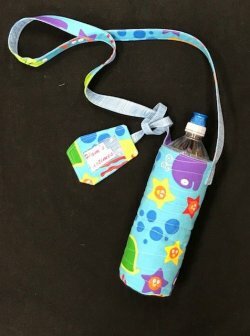 Students will make a quilted holder to hold their favorite water bottle or a purchased bottle. This holder will have a cross over strap and an ID tag to keep the bottle from getting lost. Requirements: Come ready to learn!